One of the most influential pianists over the past 50 years, Bill Evans pioneered a new refined approach to jazz that de-emphasized the beat with a floating pulse as it drew on harmonies from French composers Maurice Ravel and Claude Debussy. 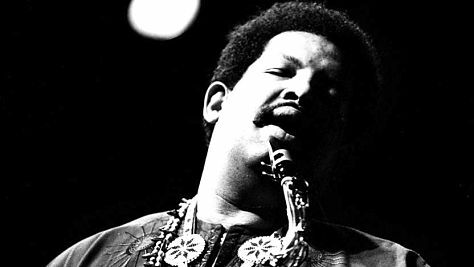 His unique expression was delicate without being fragile, and it swung, though not in a traditional two-fisted, blues-based style of the previous generation of bebop players like Bud Powell and Art Tatum. Evans' crystalline, Erik Satie-inspired approach to jazz piano would have a huge impact on generations of players who followed in his wake, including Chick Corea, Keith Jarrett, Denny Zeitlin, Marc Copland, Richie Bierach, Fred Hersch, Michel Petrucciani, Bill Charlap, and Brad Mehldau. While Evans had a significant impact on Miles Davis' landmark 1959 recording Kind of Blue (particularly on elegant pieces like "Blue in Green" and "Flamenco Sketches"), he made his strongest impression with his first trio, which included the innovative bassist Scott LaFaro and drummer Paul Motian. Their 1961 live Sunday at the Village Vanguard set the standard for interactive trio work and is still regarded as a jazz classic. Tragically, LaFaro was killed in a car accident 10 days after that historic session. There followed of succession of rhythm tandems until Evans found another inspired pairing in 1968 with bassist Eddie Gomez and drummer Marty Morell, who remained together for seven years. By February of 1975, Morell left the trio and was replaced by the Bronx-born drummer Eliot Zigmund, who appears as the newest member of the Bill Evans Trio on this March, 1975 concert at the Great American Music Hall. 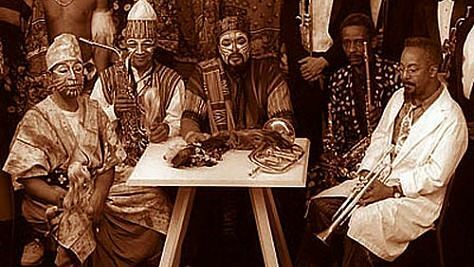 (This same unit would return to the GAMH in September of that year to reprise their swinging, near-telepathic chemistry on the bandstand). This set opens in typically delicate fashion with "Re: Person I Knew," a subtly swinging number that was also the title track of Evans' live outing recorded the previous year at the Village Vanguard (the title is an anagram on the name of Orrin Keepnews, his producer and champion at Riverside Records). As is the formula for all of these songs with the trio, Evans opens the piece with a brief, introspective piano solo before Gomez and Zigmund enter. Gomez's deep-toned bass is hugely present in the mix, engaging in animated conversation with Evans while Zigmund swirls sensitively underneath with brushes. Midway through, Gomez unleashes one of his signature fleet-fingered solos on the upright that is coming directly out of the Scott LaFaro school of bass virtuosity. They follow with the lovely and lyrical waltz-time number "Elsa," a piece Evans introduced in 1965. Once again, the leader opens with a gentle solo piano intro. 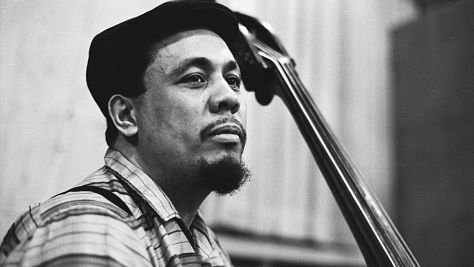 Gomez, again, floats like a free safety in the field, alternately holding down the bass groove and commenting on the proceedings in the moment. His high register bass solo here is particularly dazzling. "Time Remembered" is a slightly melancholy meditation with the trio which was also the title track of Evans' 1963 album, his last for Riverside. The piece is distinguished by the sheer intimacy and delicate interaction of the three kindred spirits, as well as by an extraordinary bowed bass solo from Gomez. Evans next interprets "Morning Glory," a 1969 tune by pop singer-songwriter Bobby Gentry (known for her hit song "Ode to Billie Joe"). The trio's version is typically interactive, with Zigmund alternating between brushes and sticks to generate a swinging momentum for Evans and Gomez. 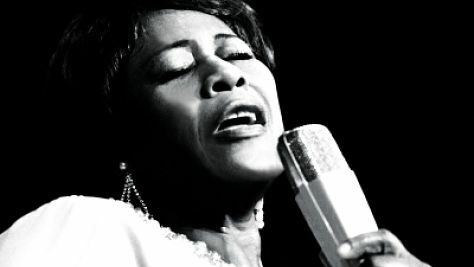 They next swing blithely through "A Sleepin' Bee," a Harold Arlen tune with lyrics by Truman Capote that was introduced in the 1954 Broadway musical House of Flowers and subsequently covered by everyone from Barbra Streisand, Julie Andrews, and Tony Bennett to Cannonball Adderley and Nancy Wilson. Evans' own swinging version first appeared on his Trio 64 album. Gomez again flaunts his agility on the upright as the band drops out for his unaccompanied solo midway through. "Very Early," one of Evans' most beloved tunes, was introduced on his 1962 album Moon Beams, his first recording after the death of Scott LaFaro. The trio's version here is typically delicate and swinging in that 3/4 meter that the pianist often preferred. Gomez's buoyant, contrapuntal lines give this rendition a bit more snap than the original while Evans stretches out with some of his most emphatic soloing of the set. And Gomez contributes another extraordinary bowed bass solo to lend a different texture to the proceedings. They handled Tadd Dameron's beautiful ballad "If You Could See Me Now" with a velvety touch, underscored by Zigmund's sensitive brushwork. Their set culminates with two well known jazz standards. First up is an effervescently swinging interpretation of Rodgers and Hart's "My Romance," featuring an extended drum solo from Zigmund and a virtuosic bowed bass solo from Gomez. 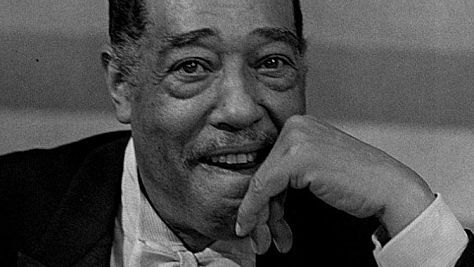 And they close with a sublime take on the Victor Young-Ned Washington tune from 1949, "My Foolish Heart," which became something of a theme song for Evans after appearing on his popular Waltz for Debby, culled from his historic 1961 Village Vanguard recordings with LaFaro and Motian. Their rendition here is every bit as tender as the original, and a fitting conclusion to this intimate GAMH concert. Born on August 16, 1929, in Plainfield, New Jersey, Evans began piano lessons by age six and later attended Southeastern Louisiana University, where he studied music theory, played flute in the marching band and also played quarterback on the school's championship football team. After graduating as a piano major in 1950, he toured with Herbie Fields' band before being drafted. Following three years in the service (he was placed in the Fifth Army Band near Chicago), Evans moved to New York in 1954 and began playing in clarinetist Tony Scott's quartet while pursuing postgraduate studies at Mannes College, where he met and began collaborating with composer-theoretician George Russell. 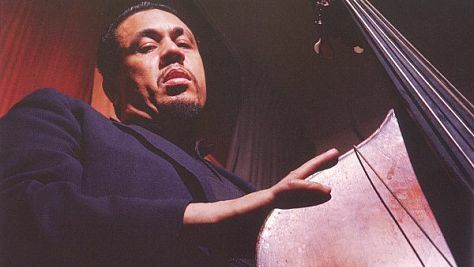 By 1956, Evans recorded his first album as a leader, New Jazz Conceptions (Riverside), which included one of his best-known compositions, "Waltz for Debby." In the Spring of 1958, the pianist began an eight-month tenure with the Miles Davis Sextet, where his delicate touch and European harmonic sensibility (inspired by such French impressionists as Debussy and Ravel) help forge a new musical direction for the enigmatic trumpeter and bandleader. Though Evans left Davis' sextet by the autumn of that year, he put his stamp on Miles' epochal 1959 recording, Kind of Blue - the biggest-selling acoustic jazz album of all time - particularly on the atmospheric tracks "Blue in Green" and "Flamenco Sketches," which were both imbued with a kind of zen-like delicacy by the pianist. Beginning in December 1958, Evans combined forces with the astounding young bassist Scott LaFaro and drummer Paul Motian in a near-telepathic trio. On the strength of such successful Riverside albums as 1958's meditative Everbody Digs Bill Evans, 1969's Portrait in Jazz, and especially 1961's Sunday at the Village Vanguard, Evans became a bona fide jazz star. Sadly, only 10 days after a landmark live session at the Village Vanguard in June 1961, LaFaro was killed in an auto accident at age 25. Shattered by the tragedy, Evans went into seclusion for almost a year. 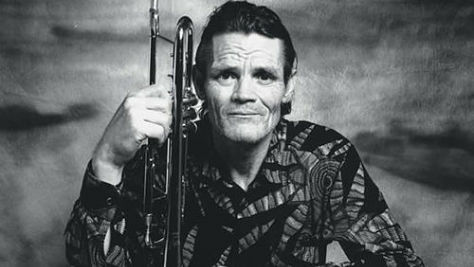 His first recording after LaFaro's death was his classic duet album with guitarist Jim Hall, Undercurrent, which was recorded in two sessions on April 24, and May 14, 1962 for the United Artists label. 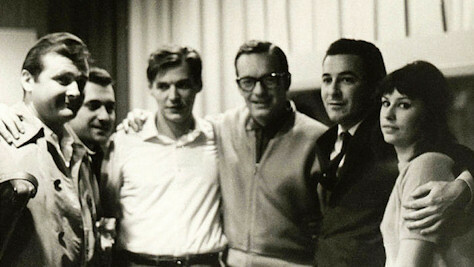 After signing with Verve later in 1962, Evans was encouraged to record in a variety of settings, which led to sessions with Gary McFarland's big band, saxophonist and labelmate Stan Getz, singer Tony Bennett, and a full orchestra performing the arrangements of Claus Ogerman. He also recorded the experimental Conversations With Myself, which utilized multiple overdubbed piano parts, a first for Evans. With the emerging jazz-rock scene, Evans dabbled in some Rhodes electric piano recordings in the 1970s. He had begun playing with Puerto Rican bassist Eddie Gomez in 1966 and two years later they were joined by drummer Marty Morell. This trio remained a solid working unit for the next seven years, until Morell retired from the music scene. After Morell left, Evans and Gomez recorded two duo albums, Intuition and Montreux III. In early 1975, the vacant drum chair was filled by New York native Eliot Zigmund, who would remain in the Bill Evans Trio for two years. Evans' last trio, consisting of bassist Marc Johnson and drummer Joe La Barbera, remained together from 1978 to 1980.